Forklift Operator Training course was designed to cover the current safety training requirements found in the OSHA standard regarding Powered Industrial Trucks. 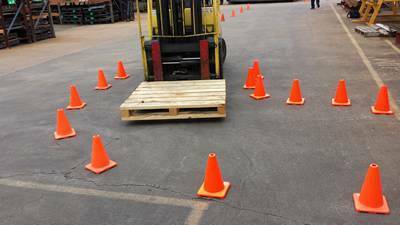 The training is intended to cover forklift safety rules and regulations for all types and classifications of Powered Industrial trucks. The purpose of this training is to help you become a qualified Powered Industrial Truck (Forklift) operator — an operator who has the knowledge and skills to operate a Powered Industrial Truck in a safe and professional manner.